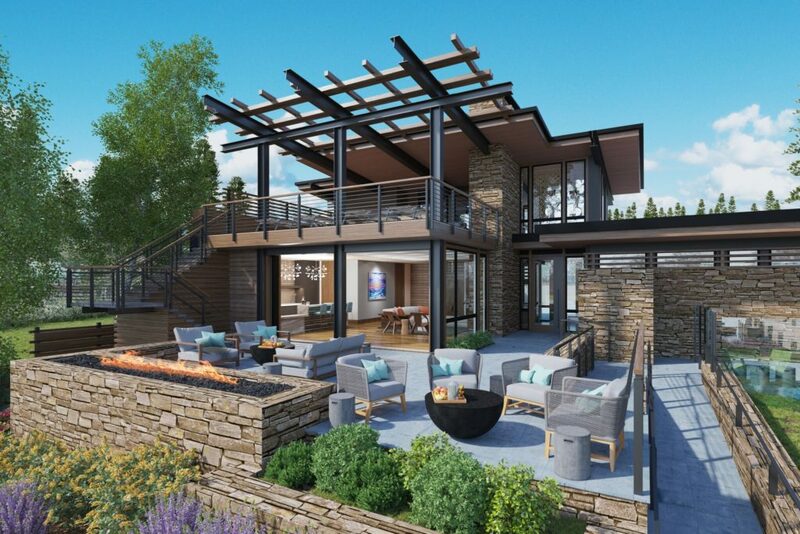 It seems only fitting that the first and only AAA Five Diamond resort in the Lake Tahoe region would also be home to a new project that promises to represent the new face of luxury on Northern California’s most famous lakefront.  Heretofore, one of the great conundrums posed by a visit to Lake Tahoe has always been the fact that the most notable and luxurious accommodations in the region reside in the mountains overlooking the lake rather than on the majestic lakefront itself. All of which is fine in winter when skiing takes top priority among most tourists. But when summer rolls around and the lake becomes the center of the action in this most picturesque of California destinations, the distance between the resorts and the lake is an inconvenience at best and a major disappointment at worst. The sumptuous Ritz-Carlton, Lake Tahoe, home of notable sources of indulgence including signature daily Marshmology events where the art of making s’mores becomes a transcendent experience as well as a spectacular spa and pool club, recently set in motion plans to take its luxurious amenities to new heights by breaking ground on a spectacular new lakefront club that will simply be called Lake Club. 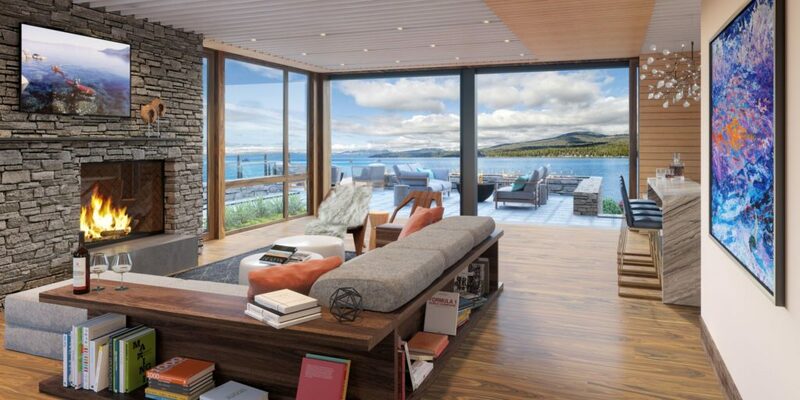 Slated to open next year, the new Lake Cub will marry the Ritz-Carlton’s unmatched service and accommodations with an exclusive lakeside hangout bordered by an expansive 2,000 square-foot lawn area peering out over unobstructed, panoramic views from one of Lake Tahoe’s finest vantage points. The contemporary building, housing indoor and outdoor dining terraces and gathering areas, will also count among the many amenities offered exclusively to Ritz-Carlton guests: Direct beach access to Lake Tahoe; a private boat pier with buoys to launch water sports and recreational activities including boating, kayaking and stand-up paddle boards; an outdoor whirlpool, fire pit and barbeque; showers and changing facilities; and storage facilities to house kayaks, stand-up paddle board and other recreational equipment. And, as if that weren’t enough of a draw, guests of Lake Club will also be able to experience Wild Goose II, a renowned 36-foot hand crafted wooden boat plying the waters of Lake Tahoe. 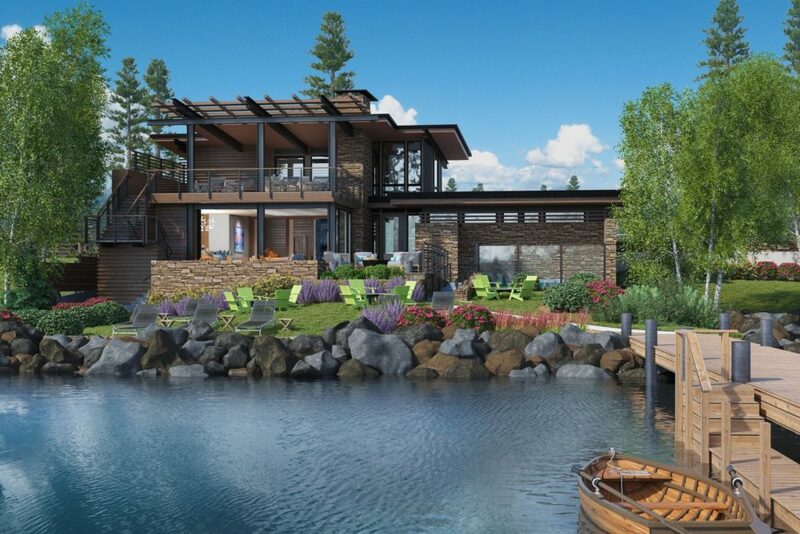 The new Lake Club will be located at 7170 North Lake Blvd in Tahoe Vista, California and will be available to welcome resort guests in the summer of 2017. For more information about The Ritz-Carlton, Lake Tahoe or to book early, visit www.ritzcarlton.com/LakeTahoe.